Finish Off Summer at Uber! Rings / 7;] Labradorite Pave Bar, Snake Multi, Split Multi, Diamond Bar, Midori Mutli Pave – all in Gold Pose / by Vega & Le Poppycock The post Double Up appeared first on Miaa Rebane. Get Uber Excited About This Round at the Hamptons! This Round Will Make You Uber Excited! Jeggings by A:S:S (my absolute favorites, I need Pho to make more colors of these because they are perfect for layering under mesh tops!! 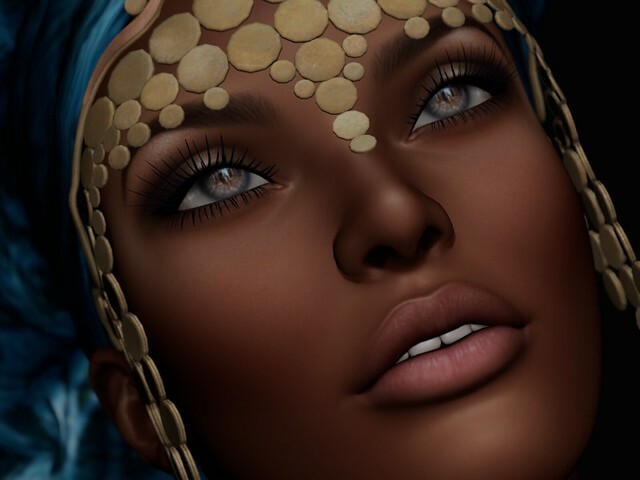 This gorgeous dark skin is Alessa by IT Girls and it’s made for the LeLutka/Undivided mesh heads. What i particularly like about this skin (applier) and actually of all IT girls skins are the rather pronounced cheekbones. This gives all their skins a fairly mature and sophisticated look. All images in this post are untouched, except for some cropping and framing for the pic below. The headpiece is by Baiastice and currently available at Uber, and the stunning eyes are by Ikon.